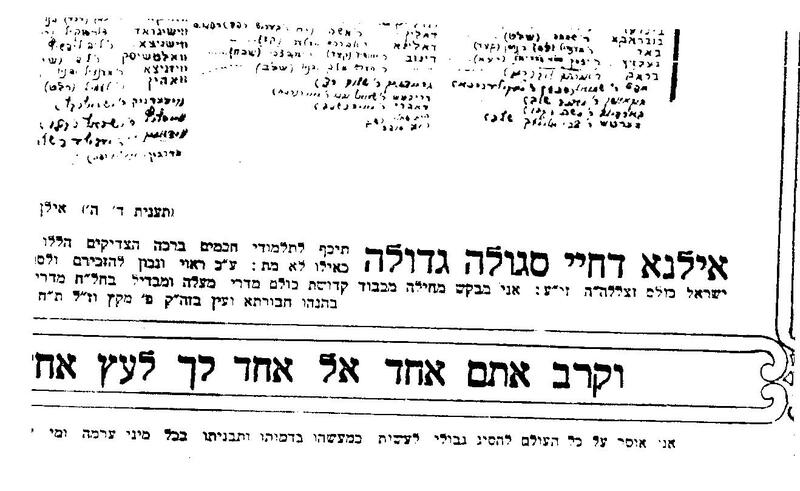 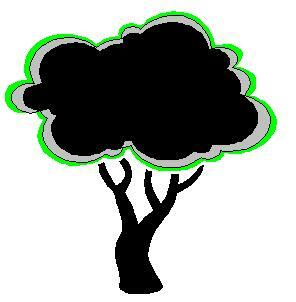 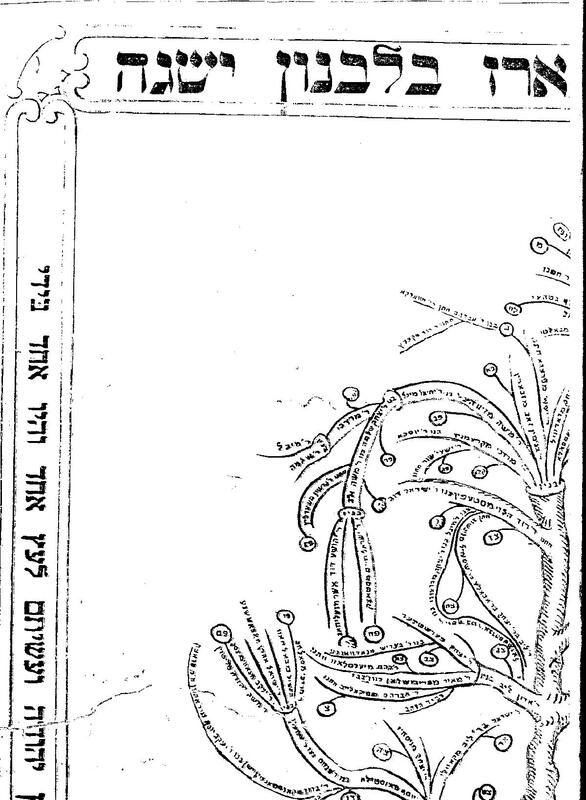 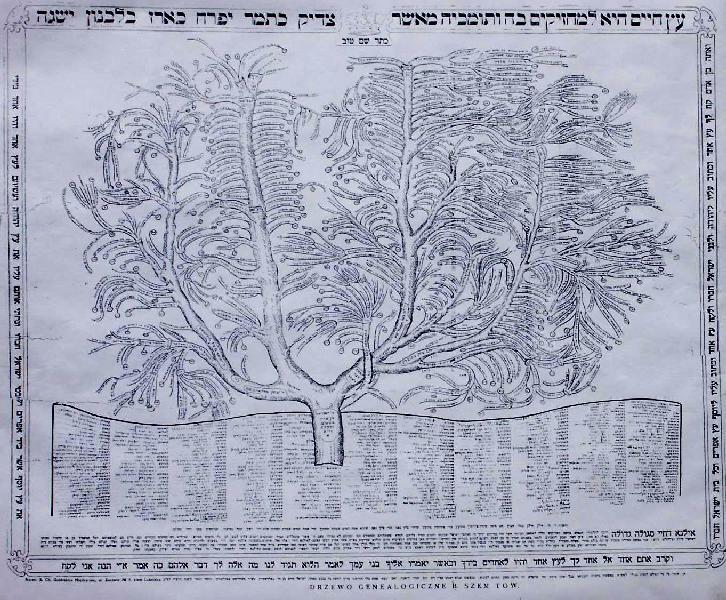 "Remembering is the Secret of Redemption"
Tree scanned by Liber Taub to this web site. 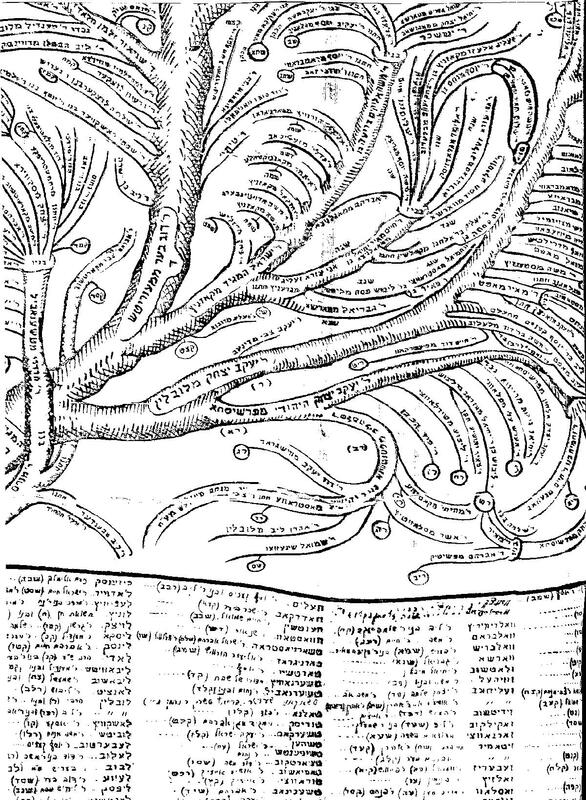 It was contributed by Yochewet Brown, née GRAUBART from Plock. 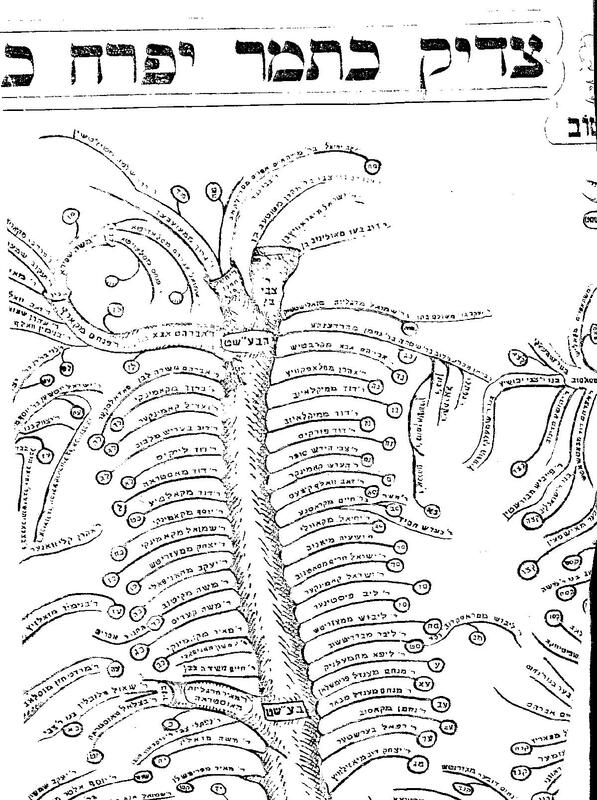 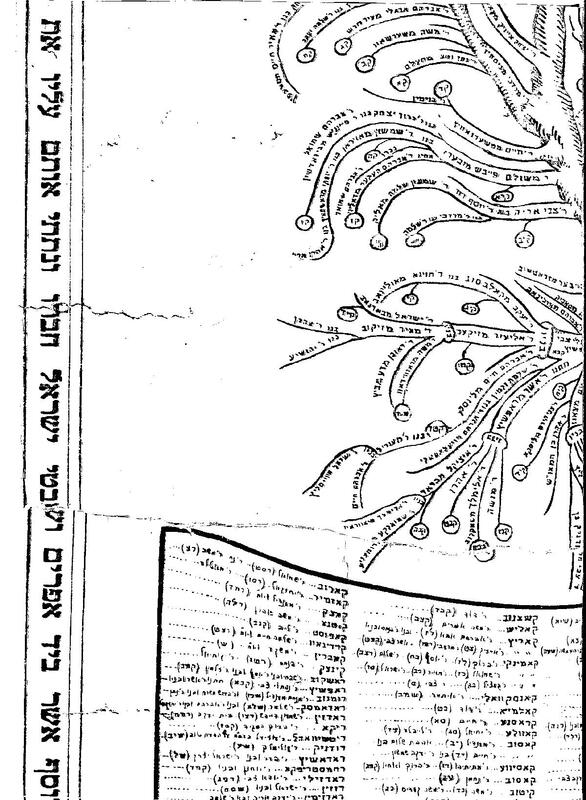 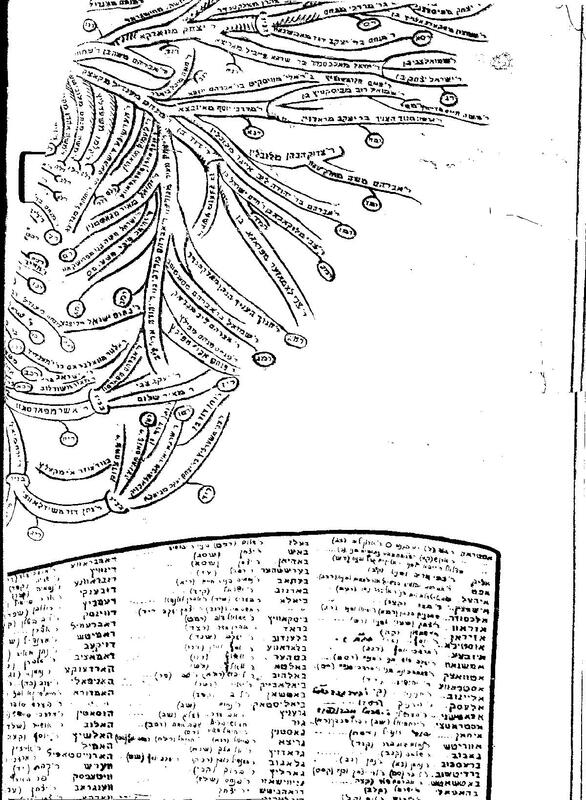 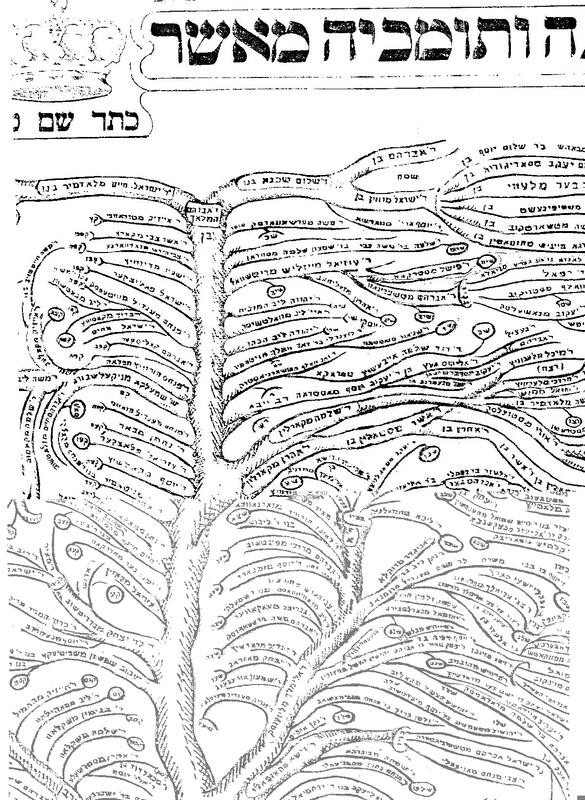 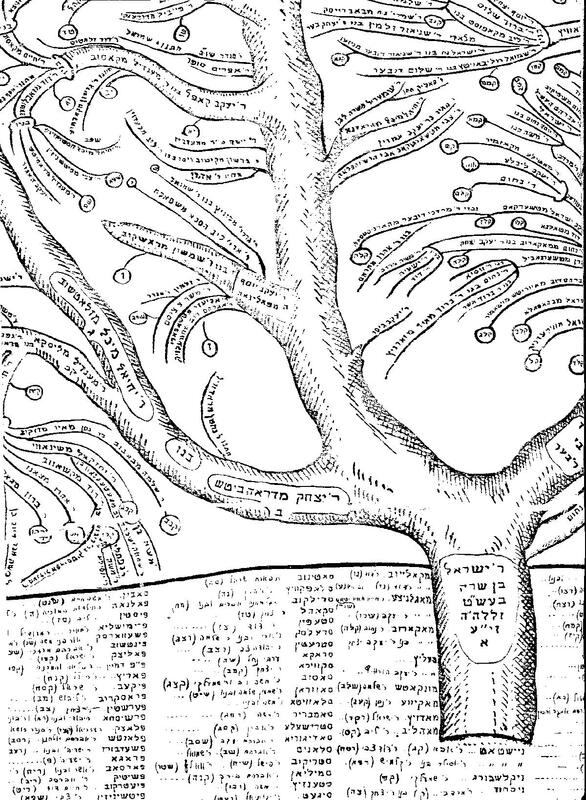 The image hereunder is made from parts of the tree, like a puzzle... Click a part to enlarge it and view the names of the Rabbis. 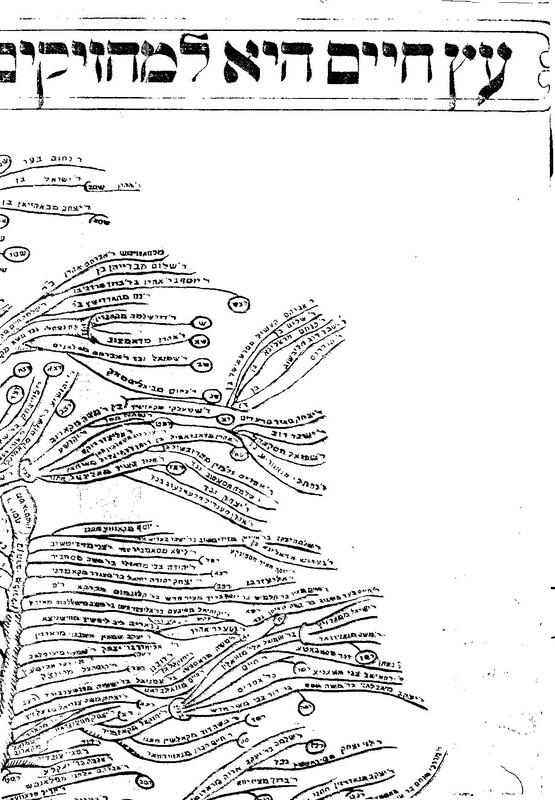 Arthur Kurzweil: "Genealogy as a Spiritual Pilgrimage"